New Year is traditionally the time of recaps and best-ofs. This blog is focused on particle physics beyond the standard model where compiling such lists is challenging, given the dearth of discoveries or even plausible signals pointing to new physics. Therefore I thought I could somehow honor those who struggle to promote our discipline by finding new signals against all odds, and sometimes against all logic. Every year from now on, the Mad Hat will be awarded to the researchers who make the most outlandish claim of a particle-physics-related discovery, on the condition it gets enough public attention. The 2014 Mad Hat award unanimously goes to Andy Read, Steve Sembay, Jenny Carter, Emile Schyns, and, posthumously, to George Fraser, for the paper Potential solar axion signatures in X-ray observations with the XMM–Newton observatory. Although the original arXiv paper sadly went unnoticed, this remarkable work was publicized several months later by the Royal Astronomical Society press release and by the article in Guardian. The crucial point in this kind of endeavor is to choose an observable that is noisy enough to easily accommodate a new physics signal. In this particular case the observable is x-ray emission from Earth's magnetosphere, which could include a component from axion dark matter emitted from the Sun and converting to photons. A naive axion hunter might expect the conversion signal should be observed by looking at the sun (that is the photon inherits the momentum of the incoming axion), something that XMM cannot do due to technical constraints. The authors thoroughly address this point in a sentence in Introduction, concluding that it would be nice if the x-rays could scatter afterwards at the right angle. Then the signal that is searched for is an annual modulation of the x-ray emission, as the magnetic field strength in XMM's field of view is on average larger in summer than in winter. A seasonal dependence of the x-ray flux is indeed observed, for which axion dark matter is clearly the most plausible explanation. Congratulations to all involved. 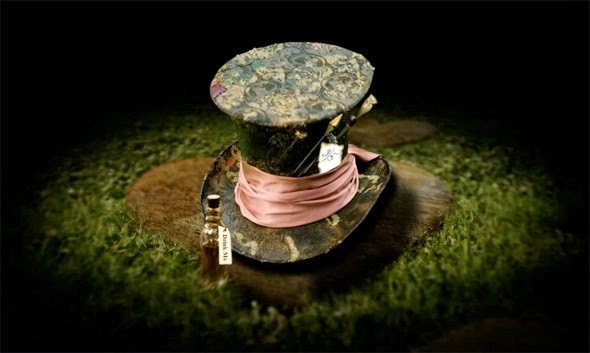 Nominations for the 2015 Mad Hat award are open as of today ;) Happy New Year everyone! When you say "axion dark matter is clearly the most plausible explanation" are you supporting their claims or are you being sarcastic? If so, why or why not? Sorry, I couldn't quite tell if you think they did good work or not. You do not do full justice to the deep insights of this paper. Even allowing for the hard-left-turn X-rays, and even granting that the only explanation for a seasonal modulation is axionic, there would *still* be no relation to axion dark matter: as the axions are produced in the sun by the regular Primakoff effect, and the sun is not dark matter, it would still tell us nothing about what constituted dark matter! Also, you are my hero for receiving such a first-of-the-year reader comment! Anon, the Mad Hat awards are supposed to play the same role as the Golden Raspberry awards in the movie industry. Hi, could you explain in more detail what you think are the errors made in this paper; I am quite interested in it. Thanks. This paper attempts to explain an anomaly in a complicated observable affected by messy conventional physics. To do so, they invoke a speculative new physics model and a mechanism that is probably unphysical. Naively, one expects the solar axion conversion signal to be observed from the direction toward (not perpendicular to) the sun, and the paper does nothing to show it is otherwise. Sounds to me like the general modus operandi of recent decades in theoretical physics. Haha, what fun! Let's insult some physicists! As long as they are too weak to do our host here any harm, of course!